A marine biologist and her team were delighted to encounter a 50,000-pound (approx. 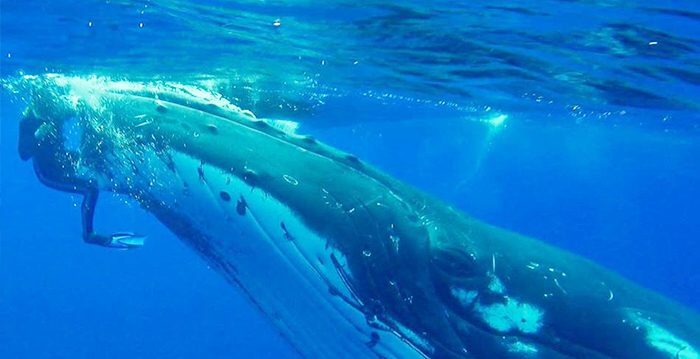 22,680-kilogram) whale on one of their snorkeling adventures. But delight soon turned to great fright, as the giant whale started pushing against her with its head. Whilst things looked like they could have turned ugly, it turned out that the massive whale had another purpose, and no one got hurt at the end of the day. 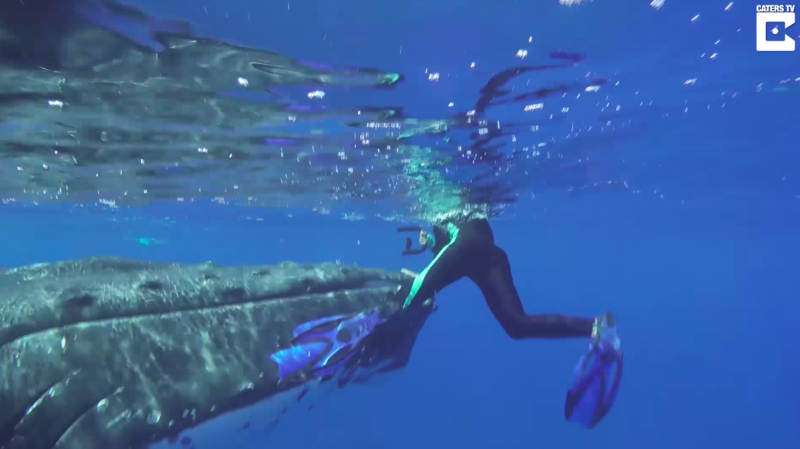 One day in October 2017, while whale biologist Nan Hauser, 63, was snorkeling in the South Pacific, a giant whale approached her. The heavyweight humpback whale got so close to her that she was able to capture some incredible footage. However, the massive mammal started getting a little physical … and when you’re up against something that’s heavier than two school buses, you know that it’s not play time. Hauser’s life was at stake. “I stayed calm to a point but was sure that it was most likely going to be a deadly encounter,” Hauser said, according to Mirror. Her anxious team on a nearby research boat were worried for her safety. They stopped their drone footage because they “did not want to film my death,” said the biologist. But however she tried, the giant wouldn’t stop pushing her, nor would it let her go. 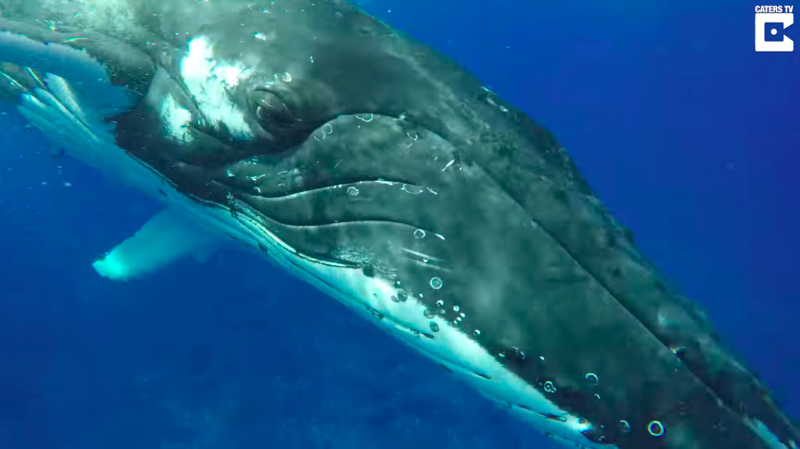 “I’ve spent 28 years underwater with whales, and have never had a whale so tactile and so insistent on putting me on his head, or belly, or back, or, most of all, trying to tuck me under his huge pectoral fin,” said Hauser, who was in the waters off Muri Beach, Rarotonga, the Cook Islands. The whale pushed her around for over 10 minutes, which felt like hours to Hauser. Then she thought she spotted another “whale” in the distance, but it turned out to be a shark—a 15-foot-long tiger shark was lurking nearby. Hauser finally realized that the giant mammal had been protecting her from being attacked by the shark. She said there was another whale slapping the water with its tail, trying to divert the shark away. When Hauser returned to her boat, we can see in the footage that the whale even glanced above the water, perhaps to make sure she was safe. Humpback whales have been reported for their altruistic behavior towards other animals, said Hauser, but this is the first documented case of a humpback whale protecting a human being from a fairly large shark.